For years I have been a back of the bag chocolate chip cookie maker. The Toll House recipe never fails and always pleases, especially when family comes to town with the little ones in tow. A few weeks ago my husband asked me to make cookies for his office. They were hosting Senator Jeff Sessions for a few hours and did not want to feed him grocery store cookies. So I decided to bake chocolate chip and oatmeal raisin, the two most red, white and blue American cookies I could think of. I started digging around and looking at an alternative to the Toll House cookie and wound up looking at a recipe on allrecipes.com. The recipe itself is pretty standard, however in the comments, is where I found the goldmine. One person suggested using cream of tartar to get the wrinkled edges. I use that in my snickerdoodles and love the look. Another reviewer stated that she used mostly brown sugar to get them chewy. It was then that my wheels started turning and Senator Sessions was going to be my cookie guinea pig. Brave, huh? 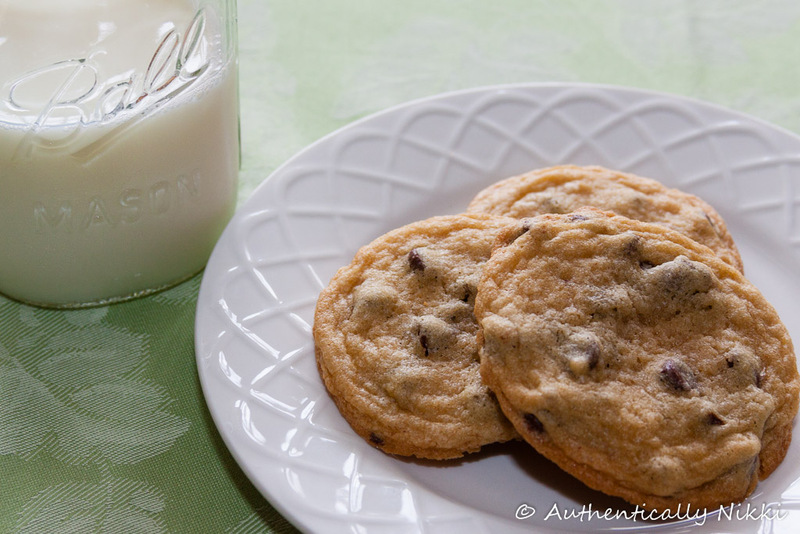 They turned out so good that I now have a new go-to chocolate chip cookie recipe. I hope you enjoy them as much as the Senator and my husband’s co-workers.